Have you booked your Maternity Session yet? 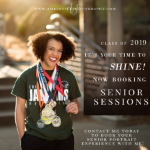 Class of 2019 - This is for you! Spring is upon us! I am so excited for warmer weather, sunshine, and gorgeous portrait sessions! My books are now open for April - June! Book today so you don't miss out! 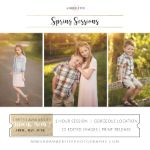 Email amber@amberfitephotography for details on how to book YOUR portrait session with me! Families, children, expectant mamas, and high school seniors welcome!